Along with the joy of keeping a pet, comes few basic responsibilities. Pet owners are expected to care for the well-being of their pets, and also ensure that they don’t be a nuisance to fellow residents. In Singapore, authorities such as the AVA and animal welfare societies like SPCA have well published guidelines and education programmes for pet owners to refer to. 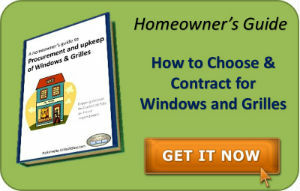 It’s imperative for a homeowner to make sure the doors and windows of the house are adapted to cater for their four legged inhabitants. So why and what should we do to ensure that our furry friends stay indoors when they ought to, without disturbing our neighbours and also for their own safety? Even if you do not have pets in the house but stay in a landed house or your HDB unit happens to be on ground level there’s a likelihood of stray cats entering your home. 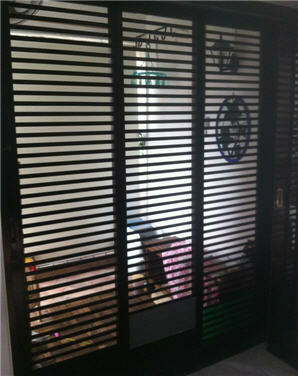 A simple PVC panel fastened to the grilles can effectively restrict access. Transparent panels can be fixed if you feel that coloured/opaque ones will obstruct the view. Get a panel that is cut as per the length of your grille. To fasten, you can either use simple plastic harness after making a holes in the panel. Alternatively, some Grille Contractors can weld a customized latch on the grille frame whereby you can simply slide in the PVC panel. 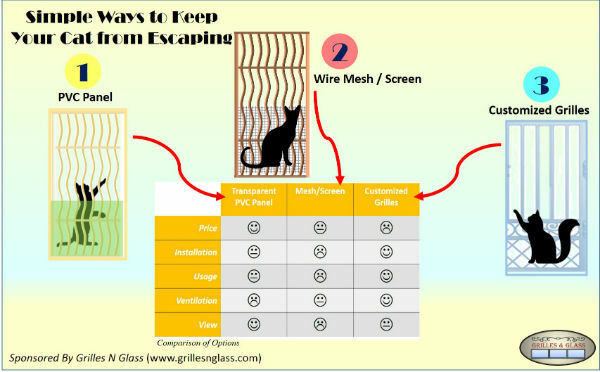 Plastic or metal wire mesh is another option. 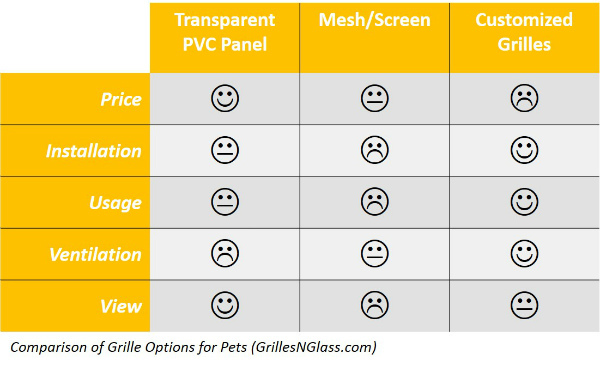 The mesh can be tied to existing grilles with a cable harness. 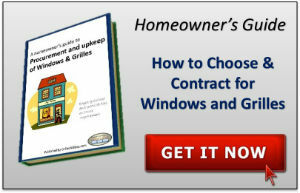 Again check with your contractor if he can fuse a hook or latch to save you the trouble of using a separate harness. 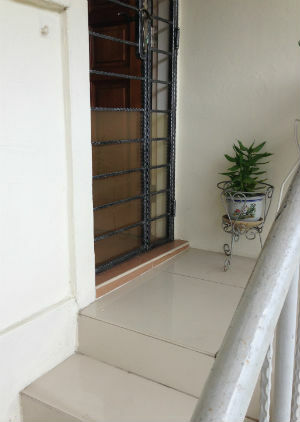 A more sophisticated and durable option would be to install customized window grilles and door gates. Your contractor should be able to fabricate grilles with closely spaced horizontal/vertical bars which would provide narrower gaps in the grille design. 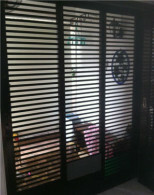 In fact, some grille designs such as the square lattice layout may suffice without the need to even customize. So which should you go for? Here a simple comparison matrix to help you make up your mind!